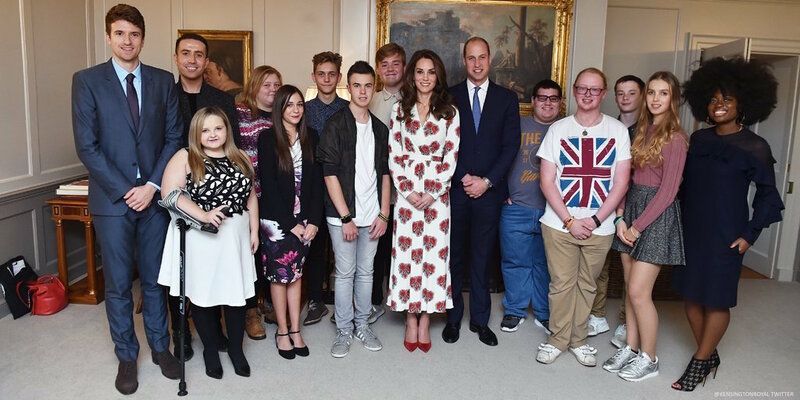 Earlier this week, William and Kate met with BBC Radio 1’s Teen Heroes at Kensington Palace. 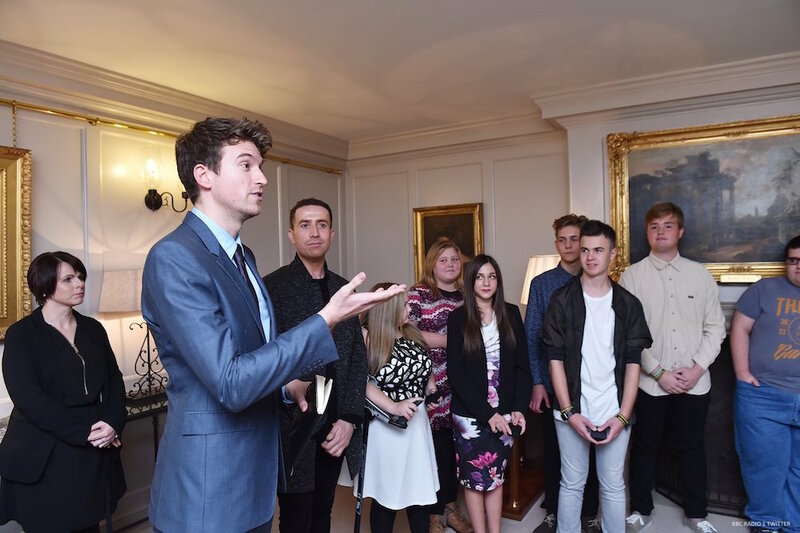 BBC Radio 1 presenters Nick Grimshaw, Greg James and Clara Amfo attended the event too. 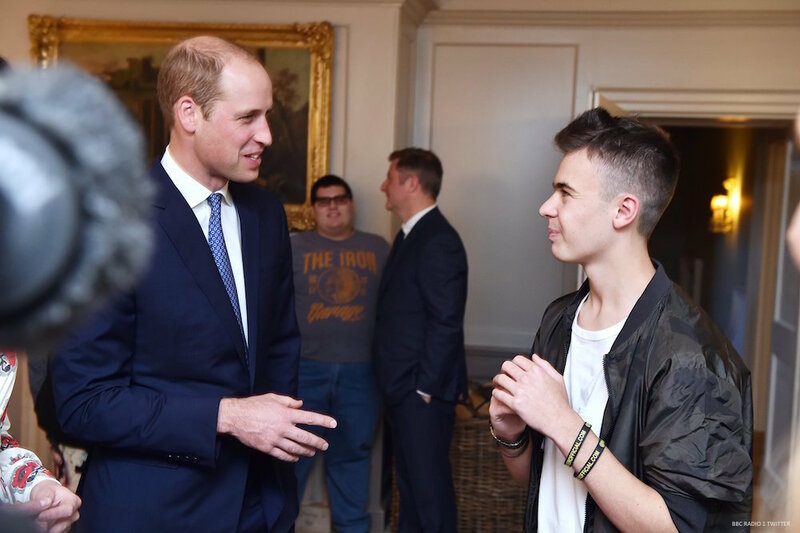 This year, Radio 1’s Teen Hero Awards focused on volunteering and mental health awareness. As you may remember, these are very important causes to William and Kate. 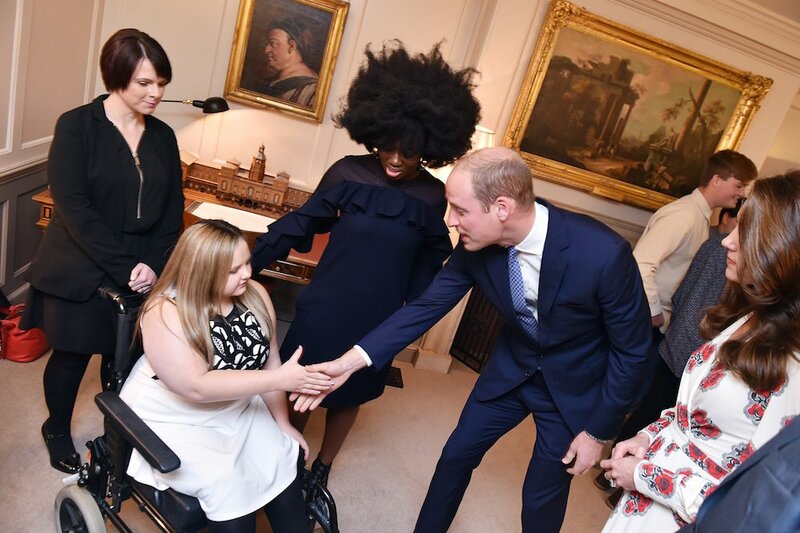 The Teen Heroes include Lewis, who suffers with daily seizures and undergoes brain surgery regularly. In spite of his health problems, Lewis launched FriendFinderOfficial.com, a social website that brings poorly and disabled children together. Meanwhile, Niamh suffers with with multiple health problems. She’s experienced bullying and depression. Now, she runs an online support group with people for chronic illnesses through social media. Joe and Toby were in a band with their friend Arran. Sadly, Arran was diagnosed with a brain tumour and sadly passed away. The two boys raised thousands of pounds in Arran’s memory. Lauren and Lucy took part in the 2015 TeenTech Awards. Their idea for a lightweight medical kit went on to win the People’s Choice category. Since winning, they’ve gone on to influence other girls to follow in their footsteps. This page on the BBC website has more information about the inspirational teens. 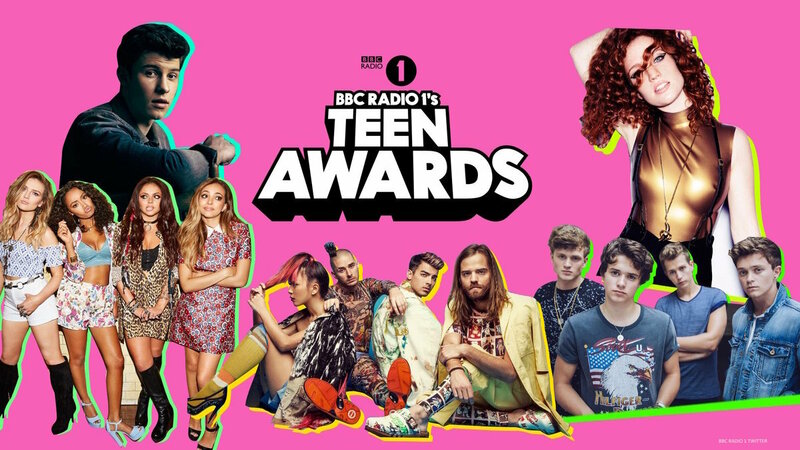 On Sunday afternoon, BBC Radio 1 will be broadcast The Teen Awards at 2.55pm. You can also watch online. Little Mix, The Vamps, Jess Gylnne, DNCE and Shawn Mendes are just a few of the acts performing. Awards will be presented to music, movie and online mega stars, as well as the Teen Heroes. You can watch a video of the meeting below. 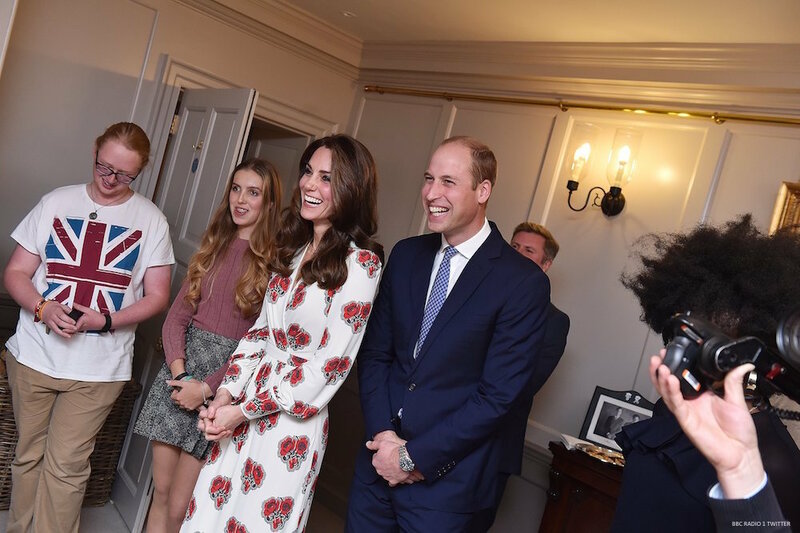 You’ll also hear William and Kate speaking with the Teen Heroes. 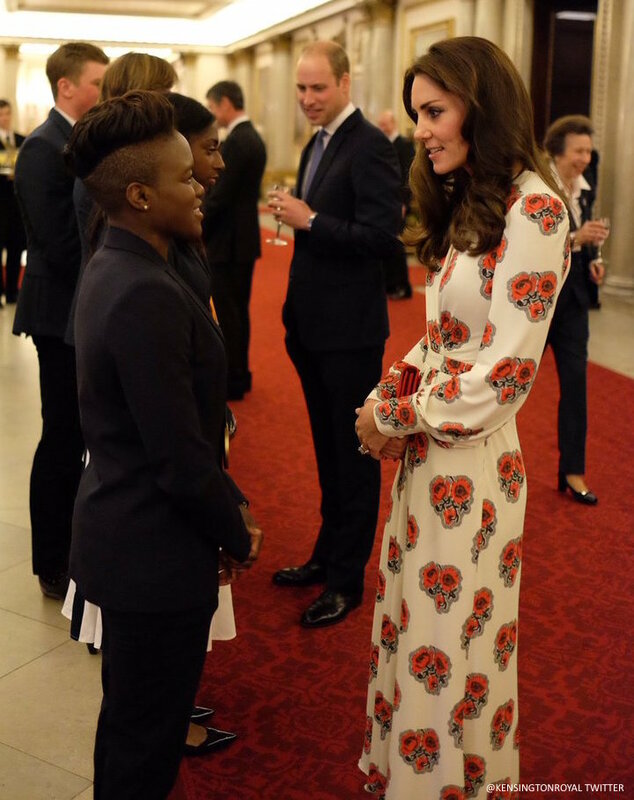 Kate is wearing the same outfit from the Buckingham Palace reception that took place on the same day (pictured below). 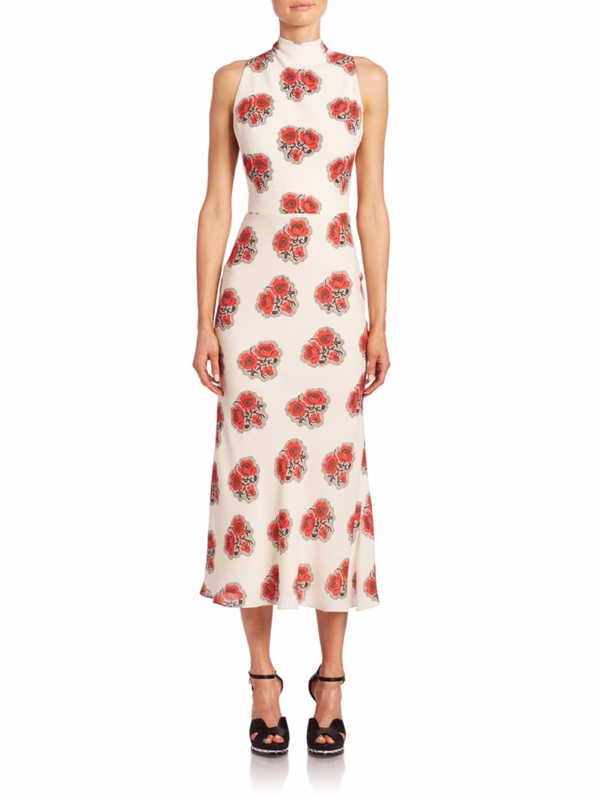 This includes a poppy printed dress by Alexander McQueen. 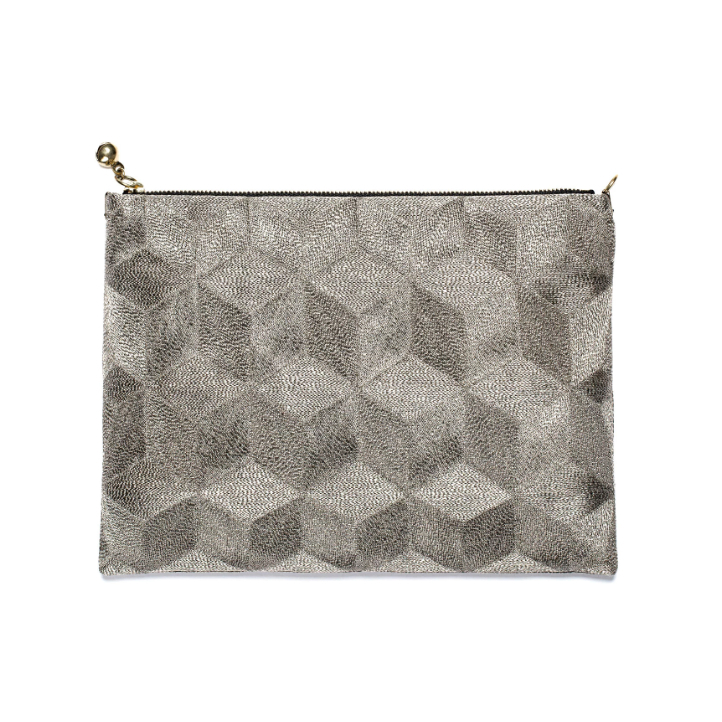 It’s a bespoke piece, so not available for purchase. 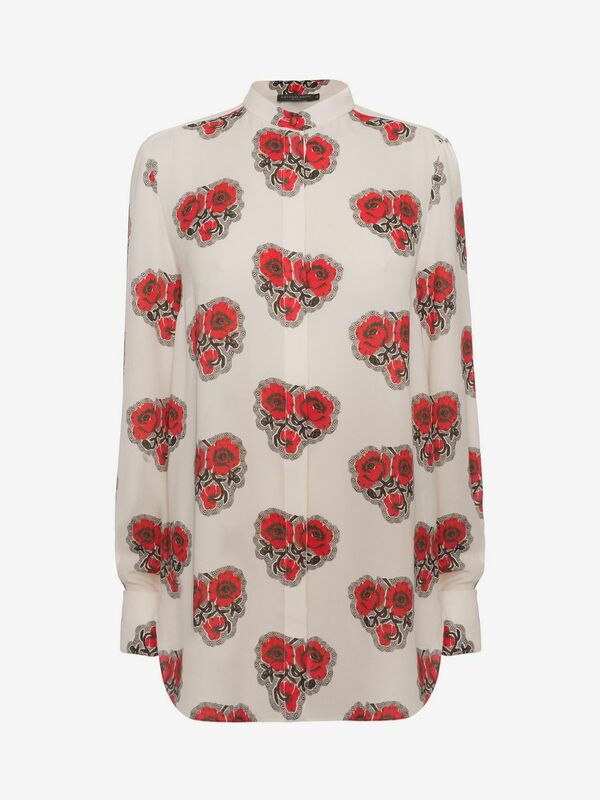 Both are made from ivory silk fabric, feature a red poppy print motif, have long sleeves with cuffs and printed buttons. 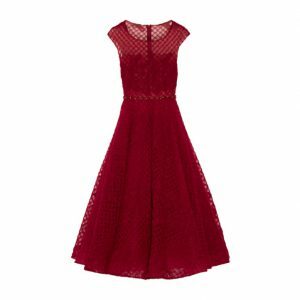 Kate’s dress also featured an ankle length flared skirt and a crossover front. 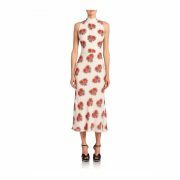 As Kate’s dress is bespoke, it is not available for purchase. 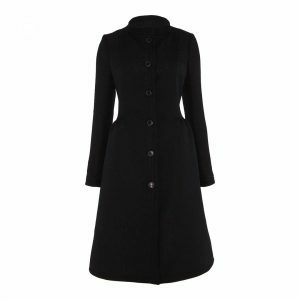 Alexander McQueen might release it in the future, as they have done with other items worn by Kate. 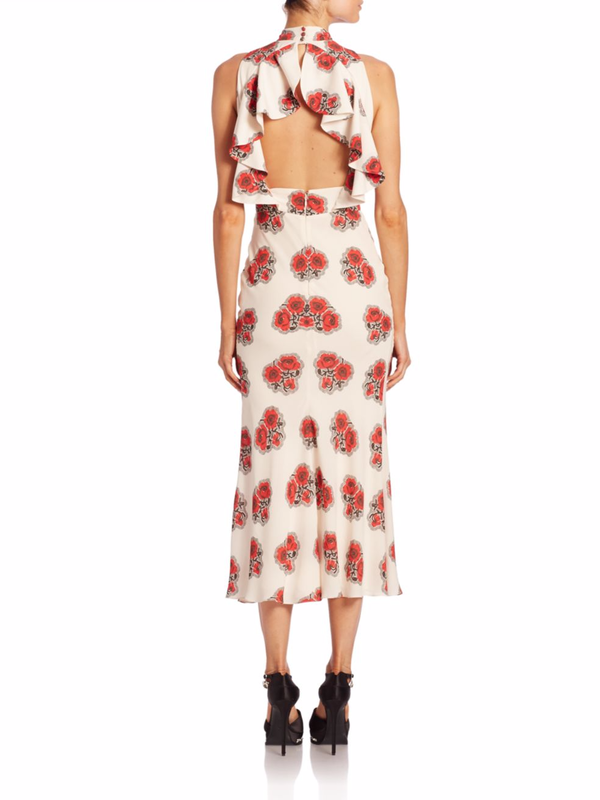 The designer label is stocked at Saks Fifth Avenue too, where you’ll find a similar dress (pictured above and below) available for preorder too ($3075 USD / £2658 GBP)It’s the ‘Silk open-back midi dress’. 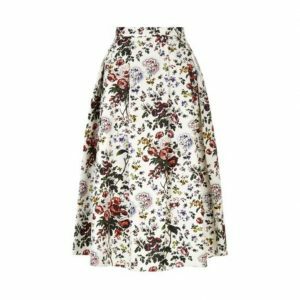 It features the same poppy print and flared skirt. However, that’s where the similarities end. 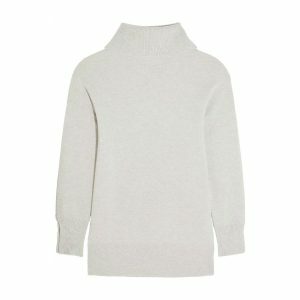 The dress at Saks comes with an open back, ruffled trim and high “mock” neck. 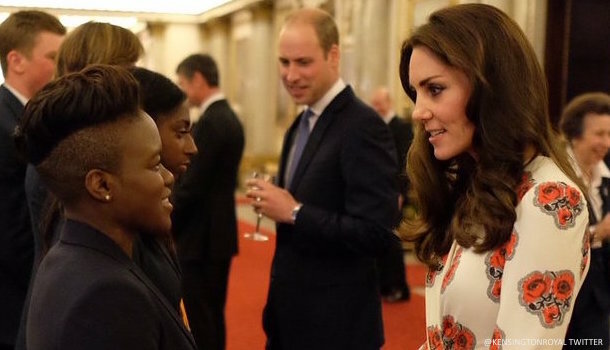 Kate accessorised with her Gianvito Rossi “Gianvito” pumps. 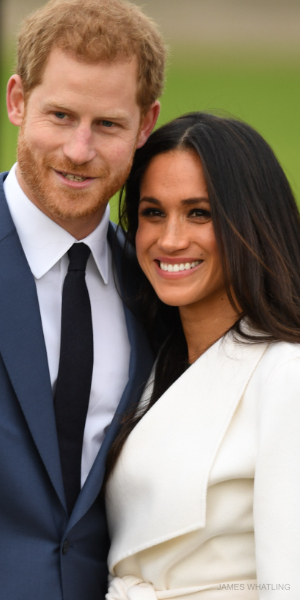 She first wore these pumps in June 2016, during the Order of the Garter ceremony at Windsor Castle. 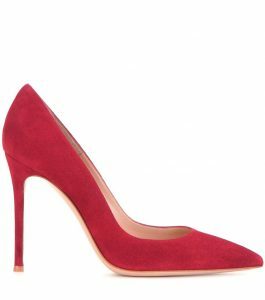 The pumps can still be purchased at Net-A-Porter for £450 GBP / $697 USD. 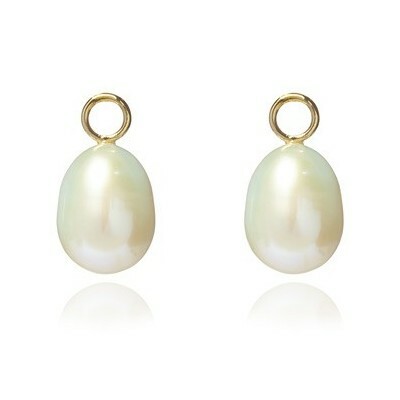 Kate finished the outfit with her Baroque pearl earrings by Soru Jewellery. 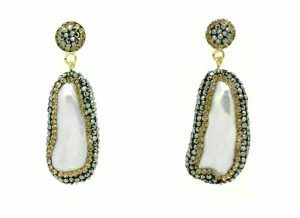 The handcrafted earrings feature baroque pearls edged with multi faceted Swarovski crystals. 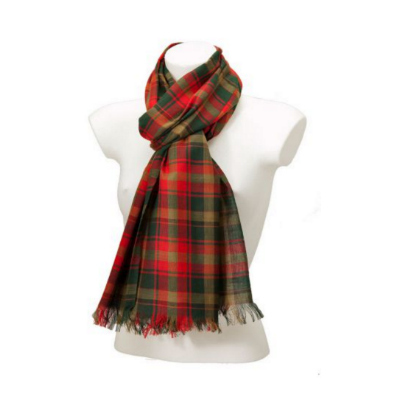 They’re set in 18ct gold vermeil on Sterling silver. 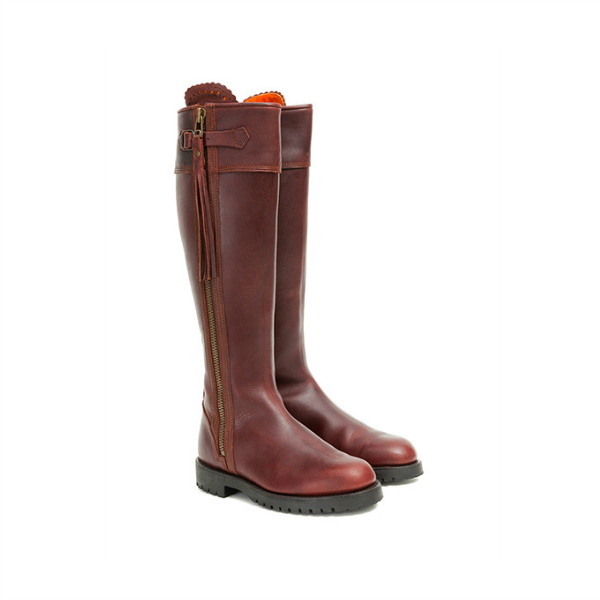 They cost £130 GBP (which is around $160 USD at today’s exchange rates). Catherine and Prince William very well dressed. And especially kind and listening to the teens problems. Giving them hope.